We work hard and work smart for each other, our partners and our customers. We test our ideas early and often with real users and we sacrifice our comfort regularly to ask hard questions and have honest conversations. We recognise that genuine innovation comes from thinking and acting different from the status quo. It’s certainly not easy finding new ways to solve problems – which is why we spend time investing in our team. Steve came to CSST with 25 years of leadership experience, including more than 15 years in the information technology and research and education (R&E) sectors. Prior to CSST, Steve was the CEO of the GÉANT Association, overseeing both operating companies in Amsterdam and Cambridge. GÉANT runs the pan-European high-performance R&E network serving more than 50 million users from 41 countries. Before joining GÉANT, he was the CEO of REANNZ, the New Zealand R&E network. He joined REANNZ from the U.S. Department of Energy’s Energy Sciences Network (ESnet) in 2011. As the head of ESnet, he was responsible for providing high-performance networking to thousands of researchers and scientists at more than 40 national laboratories and research institutions. Prior to ESnet, he served as Google’s network deployment manager for Europe, the Middle East and Africa. Before being hired by Google, Steve worked for Internet2, the R&E network in the U.S. as Deputy Operations Officer and was CEO and President of their wholly owned subsidiary, FiberCo. Steve got his start in telecommunications and networking at SBC Global Communications (now AT&T), serving as a Director in network engineering and construction departments, and also in optical networking as an engineer and program manager at Cisco Systems. He served eight years as an Officer and helicopter pilot in the U.S. Marine Corps. Steve attended the U.S. Naval Academy, where he earned his bachelor’s degree in aeronautical engineering. Steve also earned an MBA from Boston University. Steve moved to Alexandra in August 2017, after accepting the role at CSST. Emma spent the first half of 2017 as the Establishment Manager for CSST, coordinating the initial tasks required in the formation of this new organisation. She was then hired as the CSST Executive Assistant, and has since moved into the role of Director of People. For the past six years, Emma co-owned a retail business in Alexandra. During this time, she also worked part-time for over three years as personal assistant to Dr Greg Bodeker. Greg’s company, Bodeker Scientific, was the lead agency in the successful funding application that led to the formation of CSST. Prior to this, Emma worked for a number of years as an occupational therapist within the health and education sectors in New Zealand. Kelsi has a background in strategic communications and brand management. She is passionate about genuine stakeholder engagement, organisational development and creating space for two-way communication. Her past roles have given her a foray into land conservation at one of the United States’s first conservation organisations (est 1901), high-performance networking (serving the specific needs of New Zealand’s research, innovation and education communities), the world of TEDx and ‘ideas worth spreading’, and developing online communities for emergency response and recovery in the humanitarian sector. She sits on the Board of Directors for the Wellington Branch of the International Association of Business Communicators (IABC) and is the Event Director for ActInSpace NZ, an event that supports young Kiwis to re-imagine existing space technology and find new applications for space-based data. Kelsi lives with her husband and their toddler in Wellington. 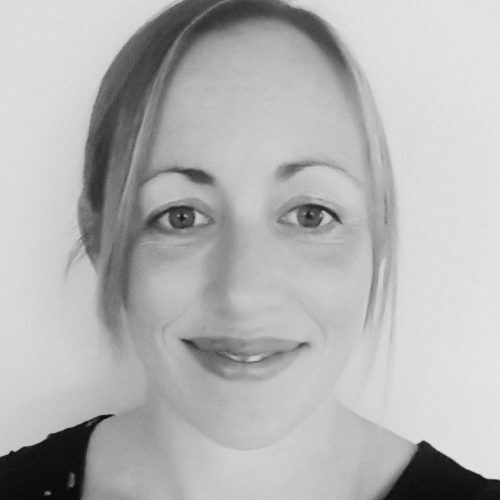 Jessica has 16 years of research experience in both academia and industry, with expertise in statistical modelling, machine learning and bioengineering. Prior to joining CSST, Jessica led research and development programmes for two computer software startup companies, one of which she is a co-founder of. She also served on the Board of Directors for Fluent Scientific, the startup which she co-founded. Previously, Jessica worked for a biomedical startup, commercialising some of her PhD and post-doctoral research work, and led clinical trials with teams as large as 145 people from diverse disciplines. Jessica works remotely from Christchurch, where she enjoys exploring the Port Hills and the mountains with her young family. Marie received a BSc in Pharmaceutical and Forensic Analysis from Limerick Institute of Technology in Ireland. She worked for Life Scientific Ltd in Dublin for four years, where she worked as an analytical chemist in the field of crop protection products. After travelling through Asia and Australia, Marie and her husband arrived in New Zealand in time for the 2011 Rugby World Cup. They fell in love with Queenstown’s mountains and lakes, and have stayed put. Due to the lack of science jobs in Queenstown, Marie began a career in business. She managed the QLDC swim school and gym, and eventually migrated into a business support and finance role. After five years with QLDC, she moved on to work at Trojan Holdings Ltd as the office manager of the finance team, until she went on maternity leave. Marie is studying towards a chartered accounting qualification with ACCA. Dave was introduced to satellite imaging at the University of Otago and has spent the last decade honing his skills in anticipation of returning to help advance earth observation science in New Zealand. Previously, Dave was a research scientist with the Geographic Information Science and Technology Group at Oak Ridge National Laboratory (ORNL), America’s largest multi-program science and technology laboratory and home of the world’s fastest supercomputer. Working at the interface between raw satellite imagery and application-oriented end-users, Dave knows how to translate large volumes of complex data into actionable information at scale. In support of government and humanitarian agencies, he designed and led an innovative, state-of-the-art capability to reconstruct the topography of the Earth’s surface from multiple-view satellite imagery, using techniques similar to stereo vision. The resulting high-resolution elevation data are critical to applications ranging from emergency response to freshwater quality and critical infrastructure. Dave received the PhD degree in Imaging Science from Rochester Institute of Technology, earning the Doctoral Dissertation of the Year award for his environmental monitoring research with NASA. His work has been featured in magazines such as National Geographic and The Smithsonian. Duncan studied at the universities of London, Colorado and Canterbury, taking his PhD in physics at the latter. Since then he has been involved in space projects in the US, UK, Australia, Sweden and Canada, publishing over 140 refereed papers. His research has covered satellite remote sensing, orbital dynamics (of asteroids, comets, and space junk), radar studies of meteors, deep space mission design, and astrobiology. His systems engineering work has involved technological innovations in both the civil and military domains. Active in public outreach, Duncan is the author of four books, and more than a thousand articles in newspapers and magazines published around the globe. He has also appeared in many TV documentaries, and radio interviews. Minor planet 4713 Steel is named for him, as is a lunar-roving robot in one of Arthur C.Clarke’s novels. Moritz’s work focuses remote sensing and modelling technologies to address water quality issues in lakes and the coastal ocean. He has a PhD in oceanography from Dalhousie University, Canada, and has worked in both research and consulting until he relocated with his family to New Zealand in 2014. As a senior research fellow at the University of Waikato, Moritz developed new methods for satellite-based monitoring of lake water quality and applied these to over 1400 New Zealand lakes. He has been with CSST since September 2018 where his work includes operationalisation of satellite data products for the monitoring of aquatic environments and fundamental research on hard questions such as atmospheric correction. Moritz lives in Raglan where he enjoys New Zealand’s perennial summer (compared with Canadian climes) practicing horsemanship and longboard surfing. Andrew has a background in earth observation and remote sensing using high-frequency ocean radar. He completed a PhD in Applied Mathematics at the University of Sheffield in the UK where he developed signal processing algorithms to extract metocean parameters from radar systems. He subsequently joined Seaview Sensing Ltd, a Sheffield-based software company created to commercialise the wave inversion techniques that had been developed at the university, and worked for the Australian Integrated Marine Observing System. He has been involved in a variety of roles within oceanographic radar, including science research, signal processing and software development, working from the UK, New Zealand, Australia and Thailand. Andrew relocated back home to New Zealand in 2018 and currently works remotely from Queenstown, within easy access to the Southern Alps for snowboarding and cycling. Robert has focused his career on Earth Science and remote sensing in both academic and commercial settings. He received his PhD in Physical Science from the University of Technology Sydney, after which he joined the Cooperative Institute for Research in Environmental Sciences (CIRES) in Boulder, Colorado. His research at CIRES focused on radar remote sensing of winds, turbulence, and rainfall. To follow his interest in applying algorithms beyond the academic arena, he undertook a position at OmniVision/CDM optics, where he led the research group developing computational imaging systems for cell phones, and represented the company in the International Imaging Industry Association. He then joined Harris Corporation, where he identified and developed innovative algorithms for calibrating and analysing satellite and airborne imagery. Here his passion for spatiotemporal analysis brought new capabilities for analysing landcover changes. His interest in precision agriculture led him to AGERpoint, where he developed LiDAR algorithms to analyse crop health, structure, and yield. Robert has worked extensively with many remote sensing modalities and has a thorough understanding of their application, calibration, and phenomenology. His passion lies in translating remote sensing observations of the environment into actionable information. Rafael has over 25 years of experience in multiple leadership roles in telecommunications and space satellite industries. Before joining CSST, Rafael was the Executive Vice President and Head of Asia, Pacific Region for the Swedish Space Corporation. In this role, he was responsible for the establishment, development and growth of business with commercial and government sectors in Asia and the Pacific. He maintained close cooperation with space industry in the region, building relationships and partnerships with key players and new startups. Prior to moving into the space industry, Rafael worked for many years as the COO at Ericsson, responsible for global telecommunication operations with the main focus on new services and products. He oversaw the daily global operations of product development units and systems integration services, created and executed a global strategy, and drove expansion into new markets and areas. In addition, he successfully drove acquisitions and mergers of several companies during that period. Before being hired by Ericsson, Rafael worked at Accenture as a consultant responsible for technical sales support on governmental and commercial ICT systems. Rafael holds a degree in Telecommunications Engineering, as well as an MBA from UCL. Simeon has a background in software, computer systems, and research networks. He joined CSST in August 2018 as a Software Engineer. He works remotely from Auckland where he lives with his wife and two dogs. Prior to moving to New Zealand, Simeon worked in the IT division at Berkeley Lab in California, USA. His earlier career in South Africa started at universities in Pretoria and Cape Town, after which he joined the Council for Scientific and Industrial Research (CSIR) where he developed remote sensing software. He later led the engineering team at the CSIR that built the South African Research Network (SANReN). Simeon enjoys working with technology that helps researchers turn their ideas into products and services that benefit society. Hayden received a BSc in Mathematics and Statistics from the University of Canterbury and has applied this professionally in New Zealand and abroad. This has involved building; machine learning and data visualisation applications for Cawthron Institute, predictive algorithms for Sainsbury’s in the UK, and analytics software for CVS Health, SpartanNash, Æon Group, Migros and Statistics New Zealand. He’s also built a few houses, skateboards, and vegetable gardens along the way. Hayden currently lives in Lake Hawea and spends his weekends/evenings out exploring and appreciating our beautiful environment. Justin’s career has taken him from civil engineering roles in NZ, Saudi Arabia and Australia, through to his current interest in software engineering. He has spent the past 25 years leading the development of software for statistical financial analysis at Moody’s, developing internet banking at the Royal Bank of Scotland, developing financial trading tools at Credit Suisse in Zurich and learning the black art of high frequency trading at Actant in Switzerland. Justin has had forays in music score editing and image editing, and has a keen interest hillwalking, hiking and motorcycling. Justin and his wife live and work in Alexandra, where they own a property that is hiding beneath a covering of scrub, which they are slowly clearing to reveal rugged outcrops of Central Otago schist. Tim is a self-described serial entrepreneur and an angel investor who has been involved with technology since 1980. He grew up with and had a hand in shaping the computing age having been a programmer, network engineer, data scientist, product designer and an executive in companies ranging from six to six thousand employees. He has built companies, teams and products in the USA, Australia and New Zealand. Tim works remotely for CSST from Tauranga. Our distributed team enables closer contact with our partners and customers, and a better understanding of the local challenges we are asked to help solve.